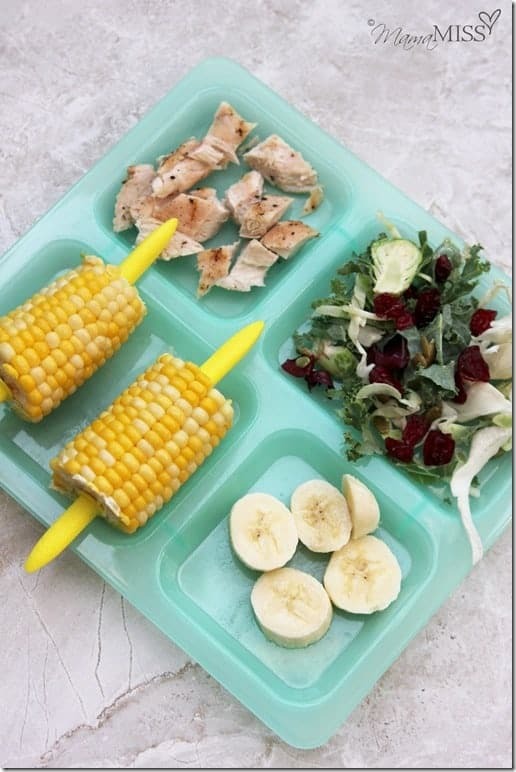 Kid Friendly Grilled Chicken Recipes: Perfect for Summer! Now the weather is finally getting warmer it’s time to start grilling outside right? 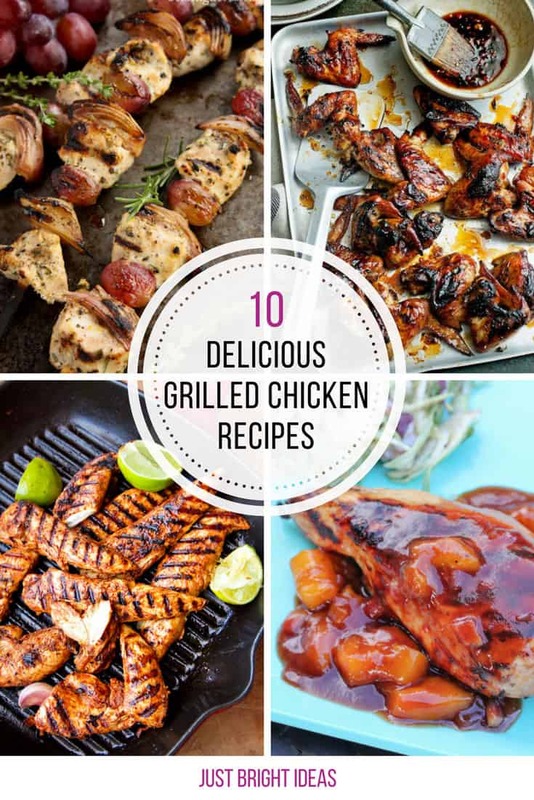 These kid friendly grilled chicken recipes look DELICIOUS and should see you through the summer! 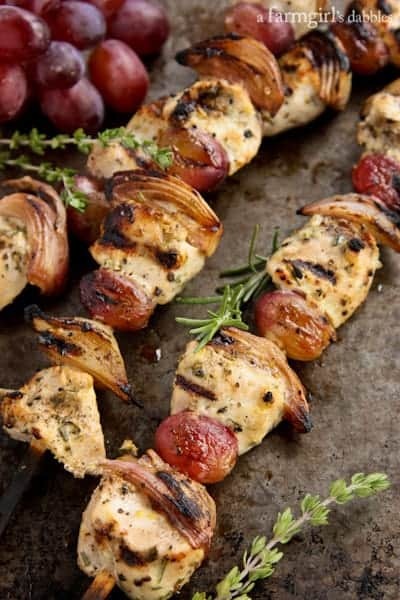 If your kids eat grapes like candy this recipe for Herby Grilled Chicken Kebabs with Grapes and Shallots is the perfect choice. 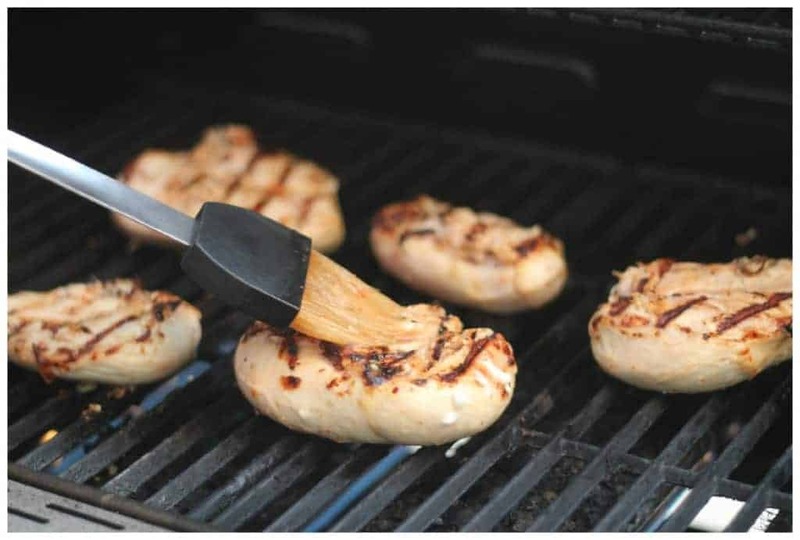 A one pound pack of boneless chicken breasts will make enough kebabs for a family of four, so whether you’re grilling over Memorial Day Weekend, or you just want a quick and healthy mid-week meal this recipe is the perfect choice. 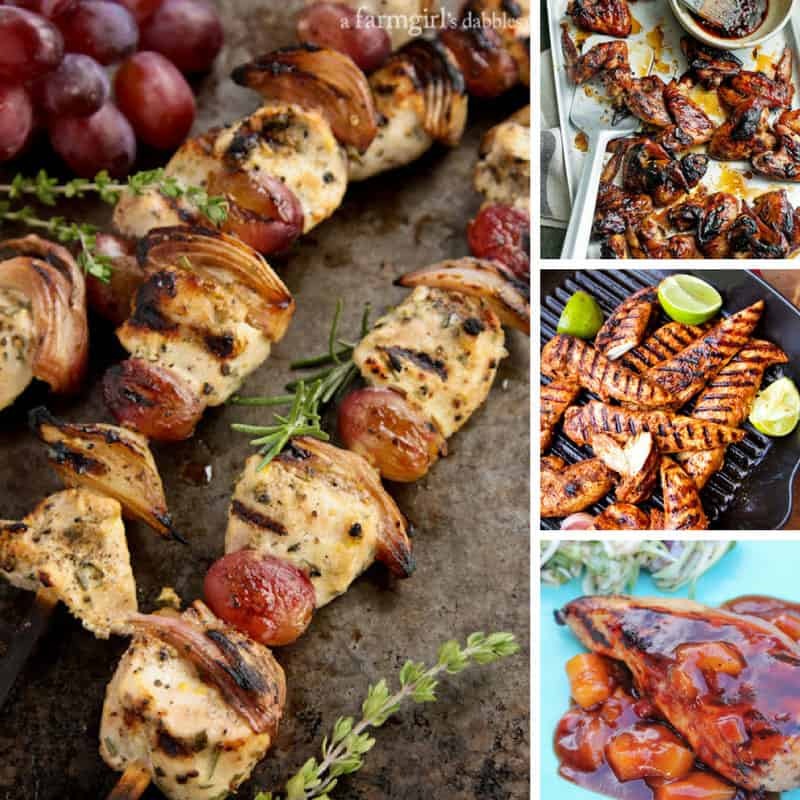 The fun thing about grilling is that the kids get to eat food off a stick, we’re not sure if it’s because it reminds them of eating lollipops but most kids think anything on a stick tastes good! 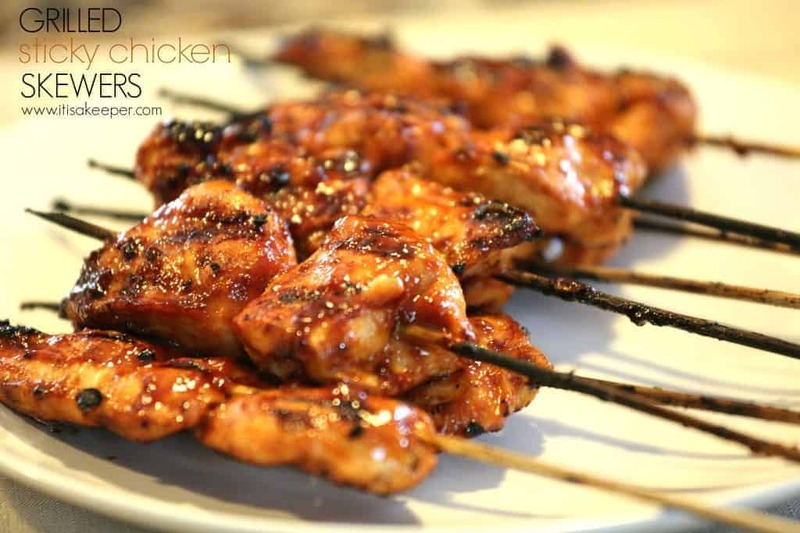 These Grilled Sticky Chicken Skewers are perfect for you to add to your summer meal plans and if you make a double batch of the marinade you can use it as a dipping sauce for another meal. Want more? 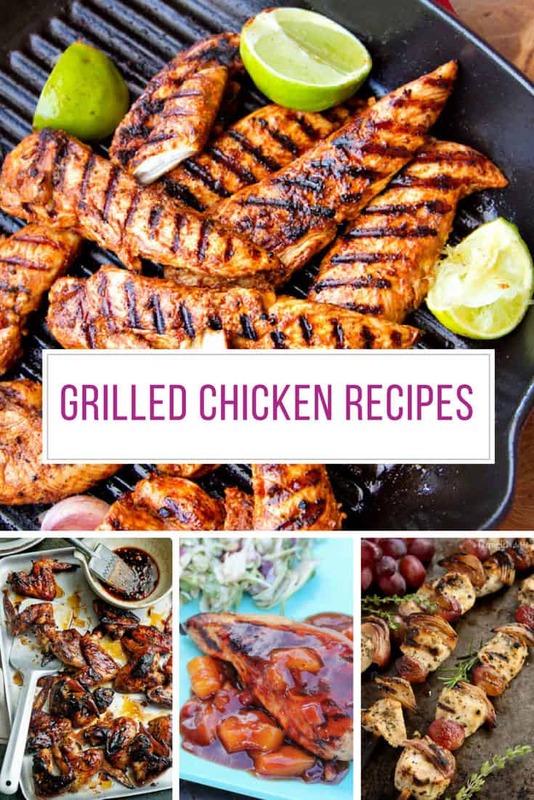 We have loads more ideas that you are going to love in our ==> Baked Chicken Breast collection! One dish dinners are a great way to save time in the kitchen, not only preparing the food but also saving on washing up. 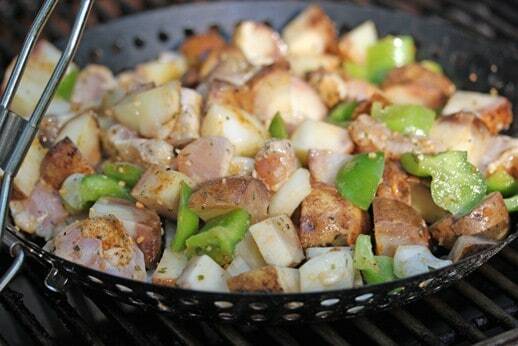 But did you know you can cook one dish dinners on your grill too? This Chicken and Potato Stir Fry on the Grill recipe is just perfect for evenings when you don’t have a lot of time to spare but you want your kids to eat a balanced meal. Does your family love BBQ sauce? 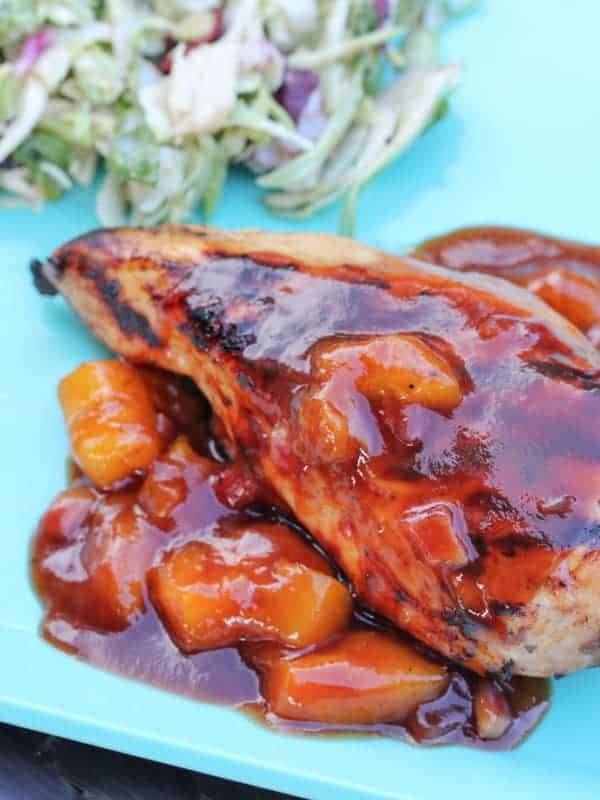 If they do they will love this Grilled Pomegranate Chicken with Mango BBQ Sauce because once the chicken has grilled you can add as much of that tangy sauce as you like. 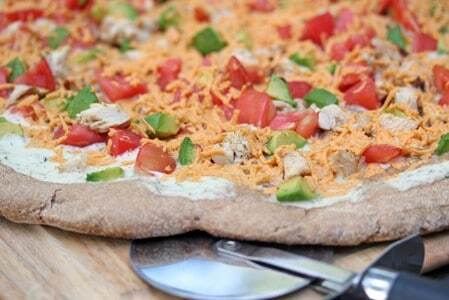 Here’s something you never thing to cook on the grill – pizza! It’s the perfect meal to add into your summer meal plans because it’s easy to make and quick to eat and something the whole family can enjoy together, and you can make it on the grill. It costs less than having pizza delivered and it tastes better too. You can make the pizza dough by hand, or if you’d rather be outside in the garden having fun with the kids you can let your bread maker do the hard work for you! Are you a fan of Kale? As well as using it to make healthy green smoothies you can also team it up with chicken to make this fabulous salad! Want more? 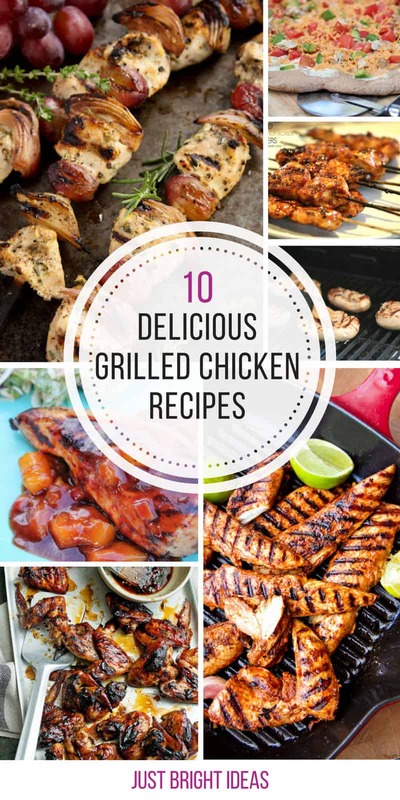 We have loads more ideas that you are going to love in our ==> Leftover BBQ Chicken collection! Do your kids love chicken wings? 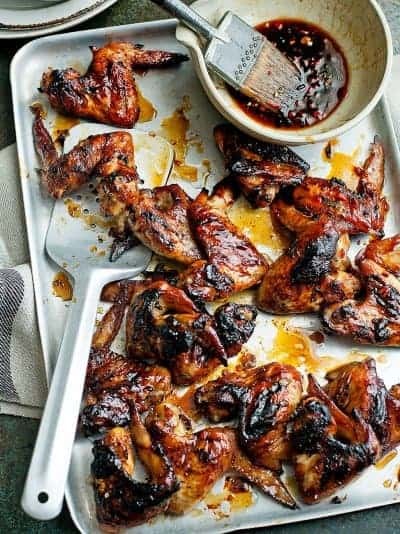 Here’s something new for them to try – ginger and honey chicken wings – they look DELICIOUS! 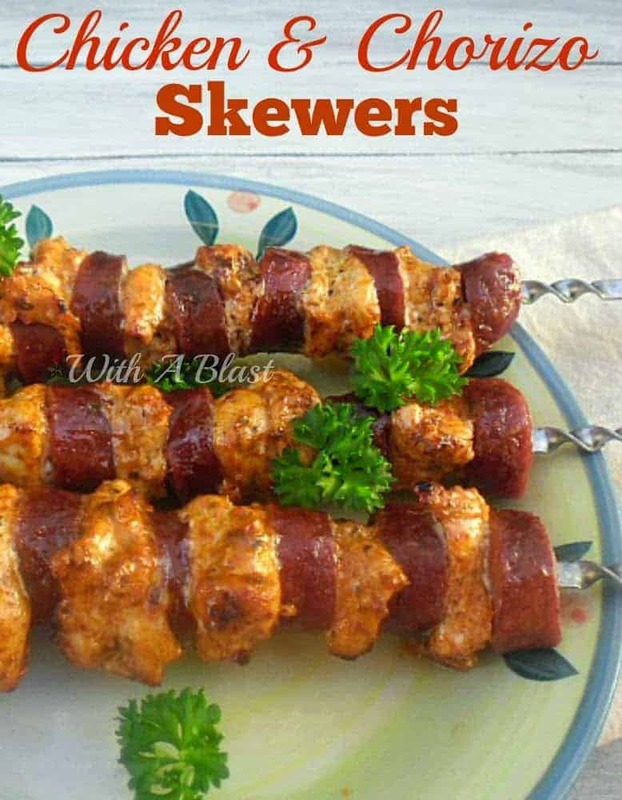 You can’t fire up the grill and not eat food on a stick, so these Chicken and Chorizo Skewers are the perfect choice. Oh my! Spicy paprika and lime sounds like a fabulous combination to go with your grilled chicken right? 1. The BEST (& easiest) Grilled Chicken! 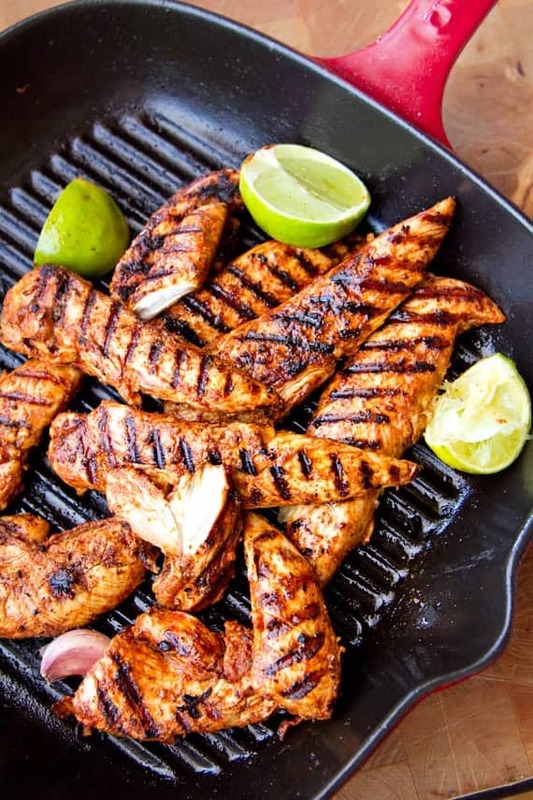 This grilled chicken looks delicious, so moist that it would just melt in your mouth. And all because of a ‘secret’ ingredient! Next PostNext 15 Amazing DIY Cardboard Playhouses Your Kids Will Want to Live in!